Why Do So Many Americans Have Guns? The moment we learn of another mass shooting, we know what’s coming next. Within minutes the same post-massacre drill is paraded out. Gun-control activists are on the firing line with their bullet-point arguments unloaded on the viewers while they are still in a state of shock. After the shooting in Las Vegas, “#GunControlNow” was among the top trending hashtags on Twitter in the United States on Monday. Sen. Diane Feinstein (D-Calif.) on NBC’s “Meet the Press” called the U.S. a “gun-happy country. And I think there are many of us in growing numbers that don’t want a gun-happy country,” she said. Reason dictates that we should disengage from this battle over firearms long enough to ask why do so many Americans have guns? 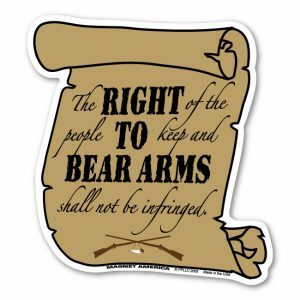 And why are they so adamant in their defense of Second Amendment rights? How many Americans have guns? About four-in-ten Americans say they either own a gun themselves or live in a household with guns, and 48% say they grew up in a household with guns, according to a new Pew Research Center study. At least two-thirds of adults say they’ve lived in a household with a gun at some point in their lives. And roughly seven-in-ten – including 55% of those who have never personally owned a gun – say they have fired a gun at some point. While many gun owners say they have more than one reason for owning a firearm, 67% cite protection as a major reason. Two-thirds (66%) of gun owners say they own more than one firearm; roughly three-in-ten (29%) say they personally have five or more guns. I think a lot of Americans have guns because they’re fearful –and for damn good reason. They fear a coming chaos, and know that when it happens it will be coming to a nation that no longer coheres. They think it’s all collapsing — our society, our culture, the baseline competence of our leadership class. They see the cultural infrastructure giving way — illegitimacy, abused children, neglect, racial tensions, kids on opioids staring at screens — and, unlike their cultural superiors, they understand the implications. Nuts with nukes, terrorists bent on a mission. The grid will go down. One of our foes will hit us, suddenly and hard. In the end it could be hand to hand, door to door. Why do Americans own so many guns? Because they don’t trust the protected elites to protect them. 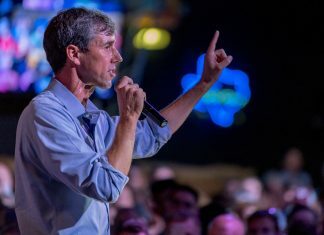 While O'Rourke assured the angry environmentalist that his campaign would be returning a certain check, he wasn't quite so clear about the rest of the "dirty money".